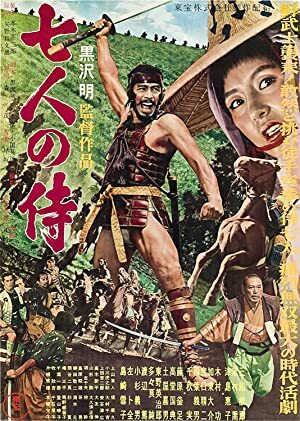 It is time for some Reel Education subtitled action courtesy of the great Akira Kurosawa’ s masterpiece, Seven Samurai! While Jena speculates there will be flips in this film, she finds nary a one. Instead, she finds one of the greatest films ever along with some truly racist Japanese accents courtesy of Melissa and Tim! Seven Samurai enter! How many leave? That would be a spoiler! 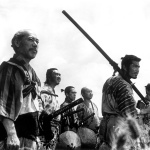 Plot: A poor village under attack by bandits recruits seven unemployed samurai to help them defend themselves. Our next episode will be all about The Good, The Bad and The Ugly!